The School-Based Enterprise at Mounds View High School of Arden Hills, Minnesota, was among 391 school-based enterprises in the United States achieving Gold Level Certification or Recertification this year. The MVHS chapter will be recognized at DECA’s International Career Development Conference in Atlanta, Georgia, for their work with the MV DECA Store. 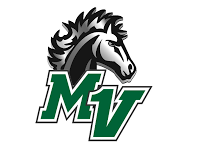 In the state of Minnesota, Mounds View High School’s SBE was recognized specifically for recertification, and it was one of only 15 schools in the state receiving gold level status. The students who worked on the certification were Hufsa Ahmed, Justin Reiling, and Alisa Samadani, with the assistance of their advisor Ms. Allard. A school-based enterprise (SBE) is an entrepreneurial operation in a school setting that provides goods and services to meet the needs of the market. SBEs are managed and operated by students as hands-on learning laboratories that integrate national curriculum standards in marketing, finance, hospitality and management. Marketing educators and DECA advisors have utilized this effective educational tool for over four decades to provide their students with realistic and practical learning experiences that reinforce classroom instruction, enhance 21st century skill development, and prepare students for college and careers. DECA’s School-based Enterprise Certification Program was developed to provide recognition for outstanding achievement by school-based enterprises and to motivate SBEs to strive for excellence and growth. SBEs can be certified at three levels: Bronze, Silver or Gold. In order to apply for the certification, SBEs must submit extensive documentation that demonstrates their adherence to various marketing and retail standards. After the documentation is submitted, a review committee evaluates the documentation to determine which level of certification has been achieved. DECA Inc. is a 501(c)(3) not-for-profit student organization with more than 215,000 members in all 50 United States, the District of Columbia, Canada, China Germany, Guam, Mexico, Puerto Rico and Spain. DECA prepares emerging leaders and entrepreneurs for careers in marketing, finance, hospitality and management in high schools and colleges around the globe. DECA’s activities assist in the development of academically prepared, community oriented, professionally responsible, experienced leaders. Complete information about DECA’s School-based Enterprise Certification Program can be found here.